Just got this from Ebay for $89 they say handmade... the bottom look like this. What you guy think good or bad. 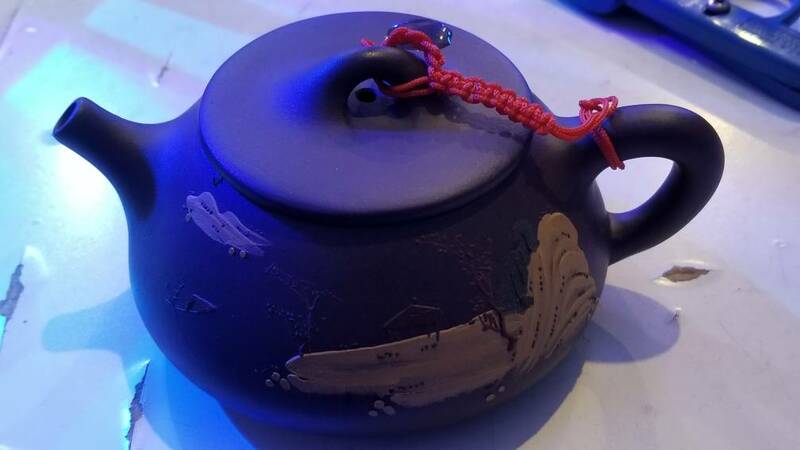 Are you able to show the inside of the pot as well, specifically underneath the lid, and along the bottom of the kettle's interior? I think we may be able to determine it through that. Until then, you should be able to determine if anything was added to it or if the clay was altered for slip casting with a few parameters. 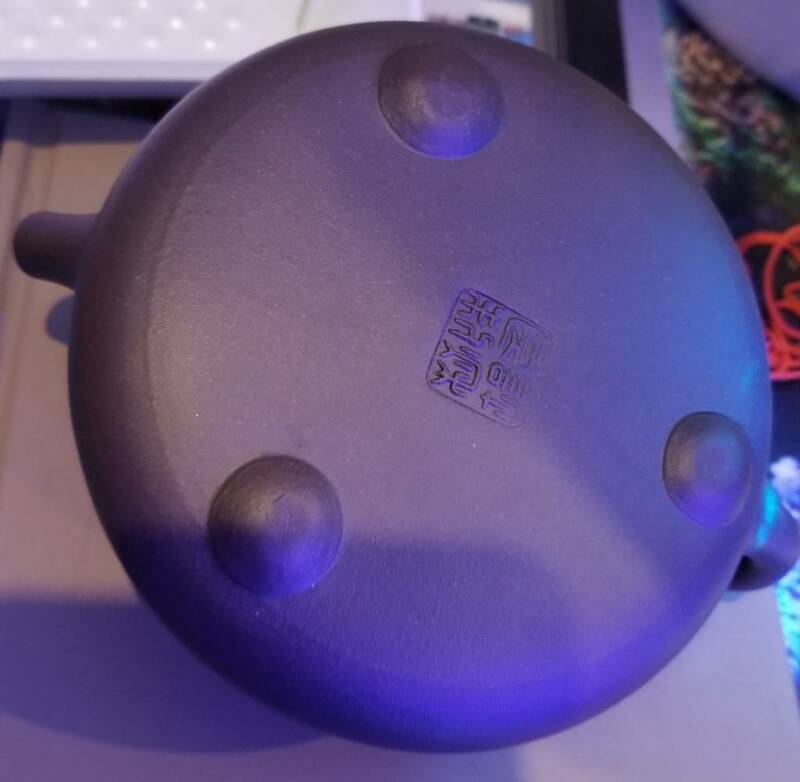 1) if it was slip casted and molded, it may be a bit smooth - "authentic" yixing typically has a rougher texture. 2) raw yixing has a high ring to it - if you remove the lid and slide it in a circular motion across the lip it should produce a ringing to it. I am by no means a yixing expert, this is just my own understanding of it. If anybody wants to add on to this or correct anything please do so.